In 2011 we could win a large new customer in the field of product- and advertising photography - the market leader for kitchens: DAN-Kitchens. 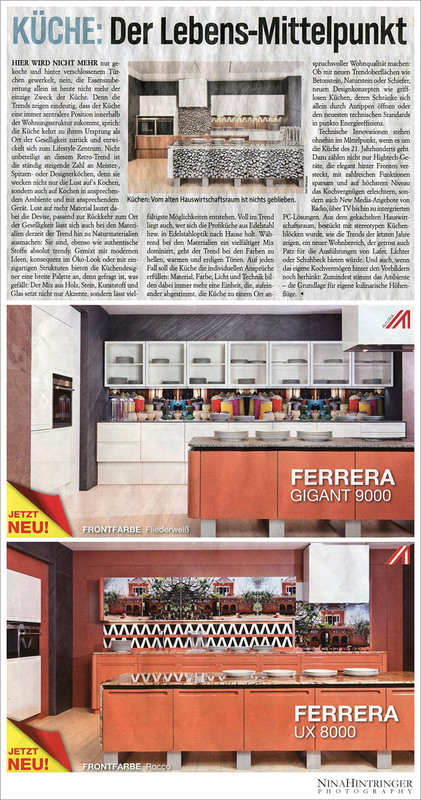 Almost every third kitchen in Austria is made by the Upper Austrian manufacturer which stands for excellent quality and extraordinary design. 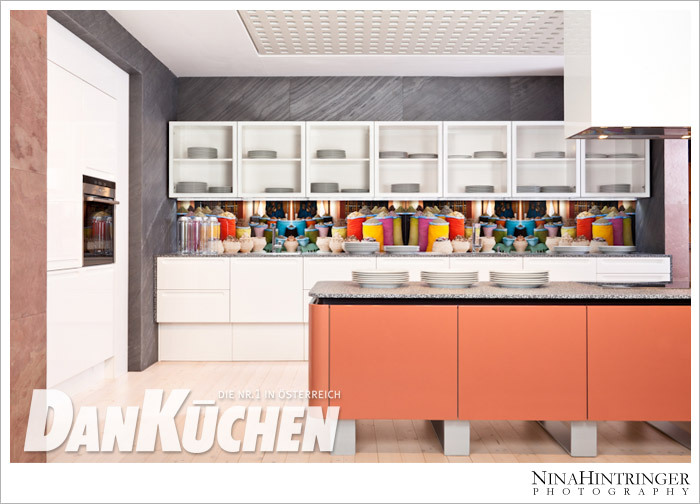 As several of our images where already published since end of 2011 in countless brochures and flyers by large furniture stores like Kika and Leiner we can show you a small series of our already published work. Since Mai 2011 we were photographing the new kitchen prototypes at the top secret development department in Linz. 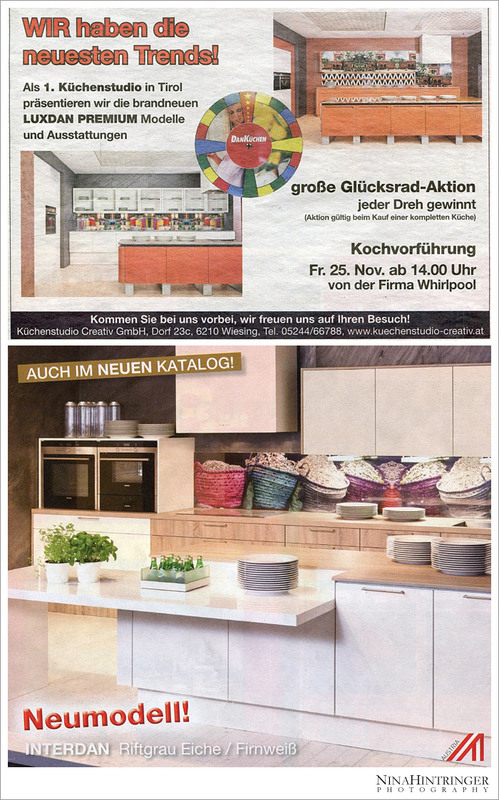 During the following month we spent a lot of time in Linz photographing the upcoming new models and kitchen-series. It was not an easy job to do due to the reflecting surfaces and glass-applications as well as the sometimes limited space and time - but we did a wonderful job and the customer was totally satisfied. 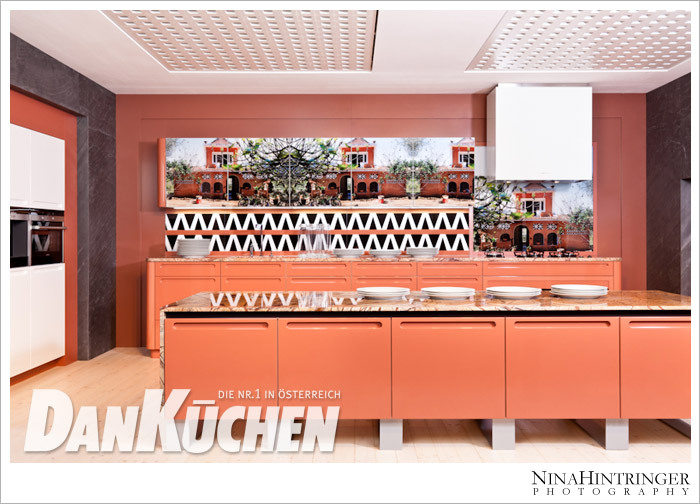 During the last months our pictures were not only published in the official LUX-DAN kitchen catalogue 2011/2012, they were also used in countless brochures and flyers by large furniture stores like Kika and Leiner. 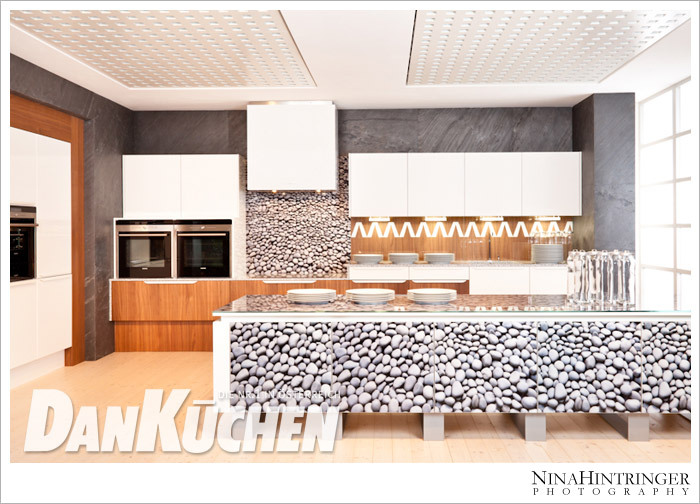 Now this allows us to show you a small series of our already published work for DAN-Kitchens during the last year. Learn more about our Wedding Reportage style and visit our Destination Wedding website!